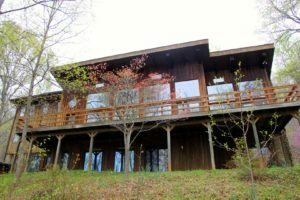 Contemporary Post & Beam on 83 Scenic acres. Half wooded and the rest in rolling farm land. Over 4,000 sq ft of open space w/large windows. Also suitable for a retreat center or camp.